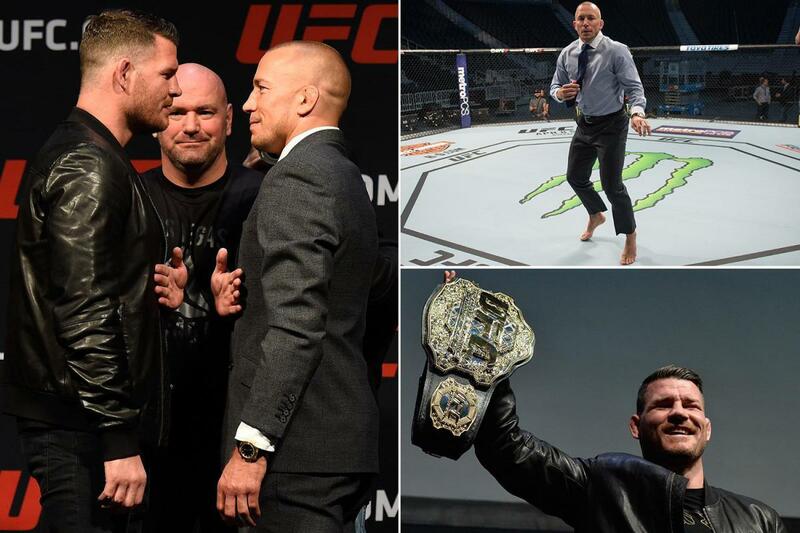 This definitely hasn’t been the best year for the Ultimate Fighting Championship. 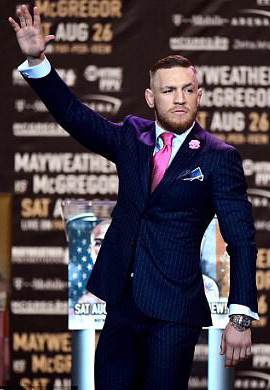 A year after WME-IMG took over operations, the promotion has had a down year, with sub-standard pay-per-view buys for sub-standard cards such as UFC 208, injuries to big name fighters like Khabib Nurmagomedov, retirement announcements from star athletes like Ronda Rousey, Diaz brothers sitting out, and a pound-for-pound champion getting busted for failed drug tests in Jon Jones. The Conor McGregor vs. Floyd Mayweather boxing match helped the company somewhat, but not as much as if the UFC Lightweight Champion was actually fighting in the Octagon. Overall, this has been a down year for the UFC. Thankfully for the UFC, the last quarter of the calendar promises to bump up the company’s bottom line for 2017. From now until the end of the year, the UFC has 12 events scheduled, including four pay-per-views, six Fight Nights, one TUF Finale, and one FOX card. That’s a lot of big fights, and there are some really exciting matchups on deck that are sure to satisfy fight fans. The list of title fights booked so far in the fourth quarter include (going chronologically): Tony Ferguson vs. Kevin Lee for the interim lightweight belt and Demetrious Johnson vs. Ray Borg for the flyweight belt at UFC 216, as well as Michael Bisping vs. Georges St-Pierre for the middleweight belt, Cody Garbrandt vs. TJ Dillashaw for the bantamweight belt, and Joanna Jedrzejczyk vs. Rose Namajunas for the strawweight belt at UFC 217. That doesn’t include UFC 218, which is rumored to have Max Holloway vs. Frankie Edgar for the featherweight title, and UFC 219, which could see Stipe Miocic defend the heavyweight belt. In addition, there are some solid non-title fights on deck, including a welterweight showdown between strikers Jorge Masvidal and Stephen Thompson at UFC 217, a lightweight clash between TUF 27 coaches Eddie Alvarez and Justin Gaethje at UFC 218, a heavyweight title between Francis Ngannou and Alistair Overeem at UFC 218, Anderson Silva vs. Kelvin Gastelum in China, Dustin Poirier vs. Anthony Pettis in Norfolk, and Dominick Cruz vs. Jimmie Rivera and Cynthia Calvillo vs. Carla Esparza at UFC 219. That’s a nice schedule, a schedule that should get fans excited, and one that should make the UFC quite a bit of money at a time when its new ownership group really needs revenue coming in. Not only has it been a down year for the UFC as far as revenues go, but its biggest rival, Bellator MMA, has been making headway by signing big name free agents to big money deals and putting together big fights. Bellator is still behind the UFC, but as I wrote in a recent piece, they aren’t as far behind now as they have been in the past. The UFC will be forced to continue to put on big fights and coax former stars like GSP out of retirement to keep up with its biggest competition, and although they will stay ahead of Bellator for the foreseeable future, the gap is steadily closing. 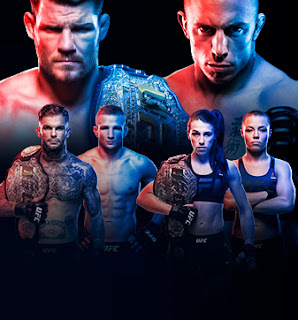 Ultimately, the UFC is still the biggest MMA show in the world, and when you put together the batch of title and non-title fights expected for the next three months, fans will continue to be interested in the product. The first nine months of the year have mostly been disappointing, but the last three promise to be much better, and with so many big fights and events coming up, it’s a good time to be an MMA fan -- and a UFC executive.